Rika Thomas is a superstar. There are many, many reasons for me to say that. The one I’m focusing on for the moment is her art. 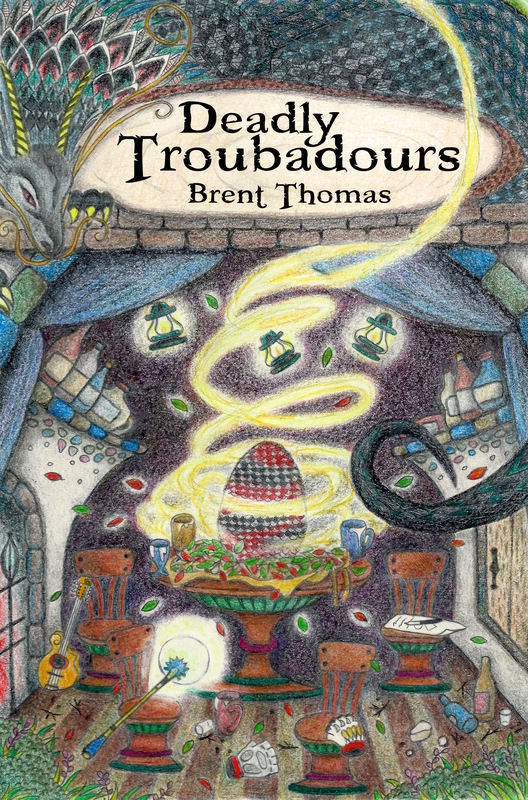 She did the cover and interior illustrations for my novel, Deadly Troubadours, and she has agreed to do the same for the sequel. The style she uses for those is only one of the styles she works in. Recently she’s been hard at work at a large piece. It’s fantastic and I just want to stare at it, but she is kind of private with her works in progress. Still, she told me I could share a bit of the newest piece here. Although, I imagine later she’ll also tell me the pictur I chose to share wasn’t good enough. 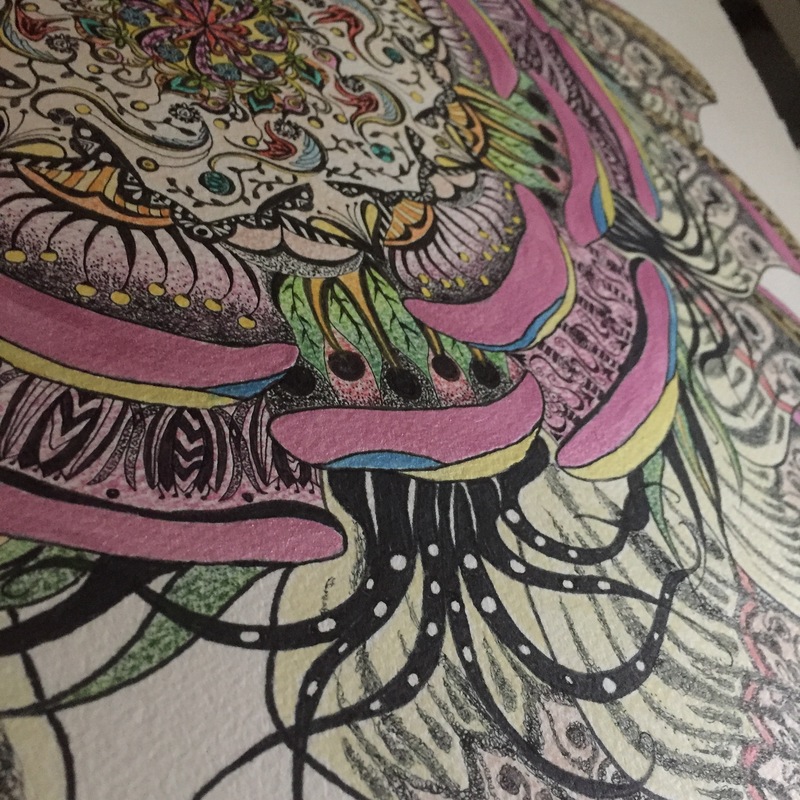 But I decided rather than using a fuller picture of something that isn’t 100% finished, I just want to show a close up of a small section of the piece. Hope you like it. Her website is here . Most of it is in Japanese, but you should still be able to find a path to more of her art.